Learning – and respecting – the difference. 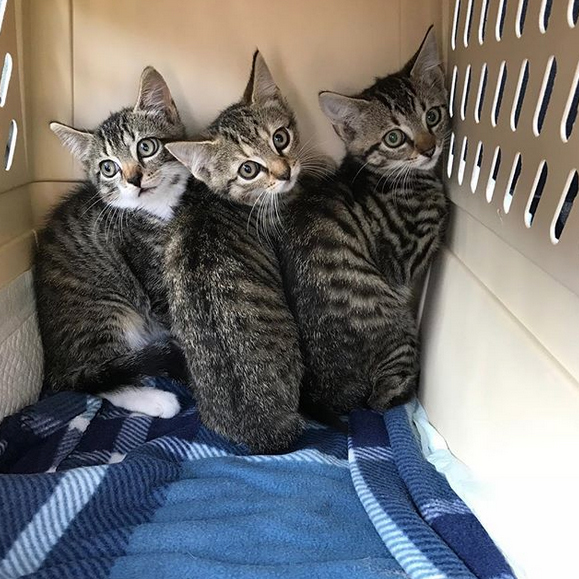 They arrived on October 3, three adorable Tabbies: two girls, Acorn and Cider, and a boy, Punkin. They’d been plucked from my neighborhood by a local trap/neuter/release friend who also trapped their mama. An expert in feline behavior, she determined that mama was feral. So she had her spayed, vaccinated, and ear-tipped. And then she released her back where she’d found them. There’s a subtle art to distinguishing between frightened cats and those who are feral, and mama was definitely feral. 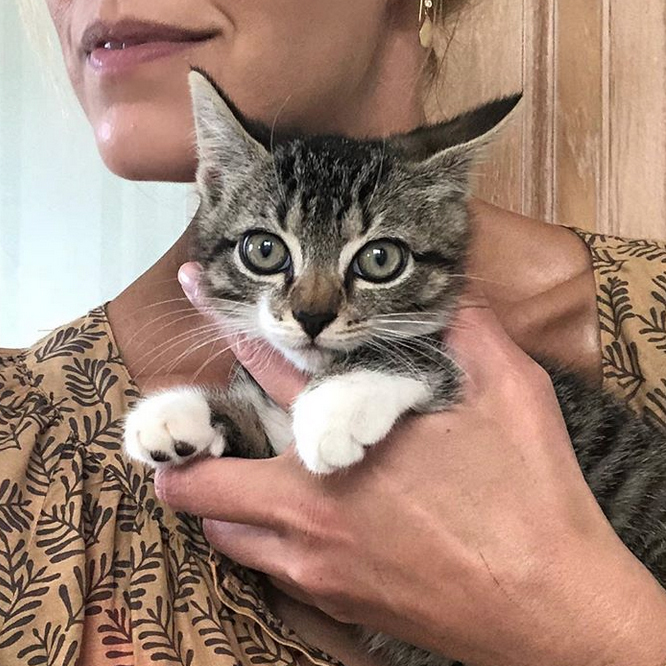 But kittens are different — they’re more adaptable — and I felt these babies just needed a week or so at the Beth Stern Socialization School to relax and trust. All three were understandably anxious when they arrived, but day one went well: They figured out the litter box, an important lesson learned. Punkin was on my lap by day two. Acorn quickly followed. And then there was Cider! Ears flat, tail tucked, Cider was a little hisser, absolutely terrified. But I’d successfully tackled this problem before and knew she deserved my best effort. So I went to work, patience and baby steps. Punkin went to his forever home on October 21, but Acorn and Cider had bonded so deeply that I wanted them to be a double adoption. That meant more work and more patience for Cider. 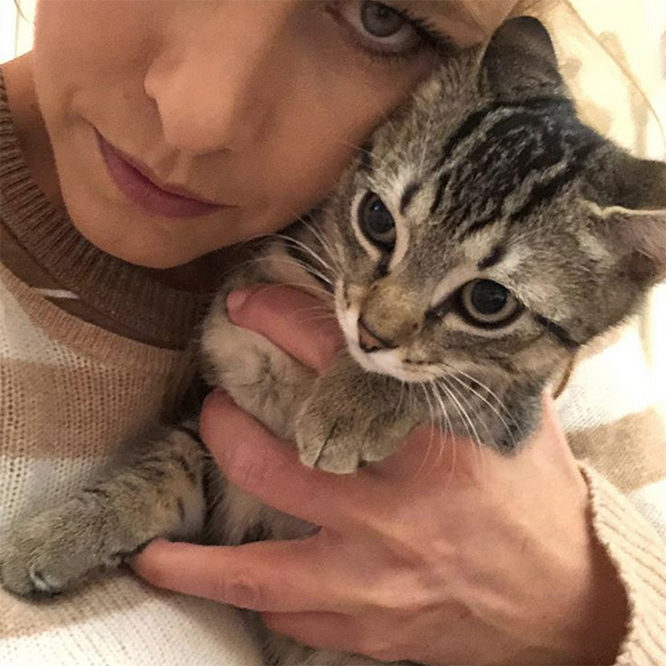 Punkin meets his new mama! Cider’s body language spoke volumes. Gradually, Cider began to tolerate me. One week in, she came out of hiding and dived into a big bowl of food. She wasn’t thrilled about being pet, but she was liking the sensation of being touched by the wand. Baby steps. By October 11, she was playing with Acorn and Punkin. So on October 15, we separated her from her siblings to encourage her to bond with us. 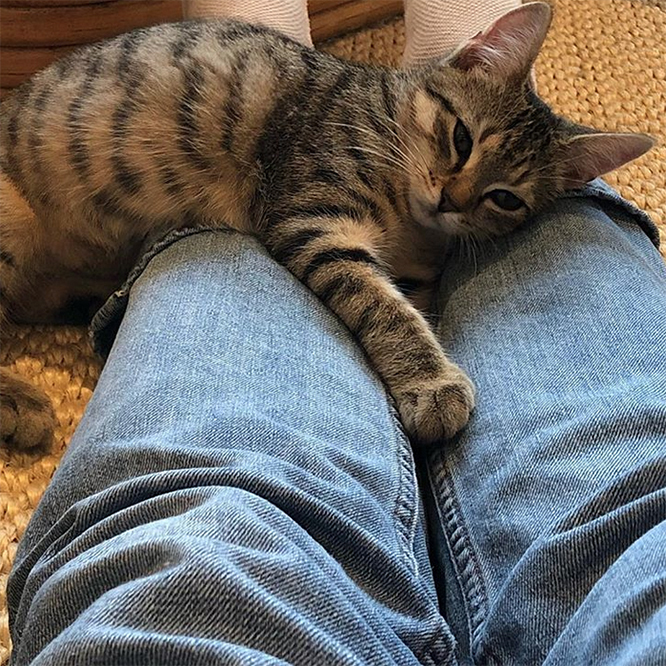 Socialization is all about helping a cat connect and trust people. 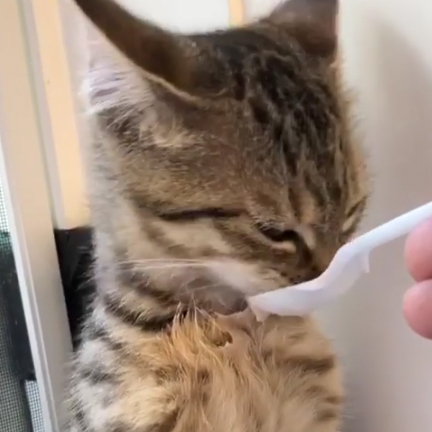 Oh, and being fed chicken baby food from a spoon doesn’t hurt, either. More baby steps. The next day she rejoined her siblings, and from then on the baby steps got bigger and bigger. Near the end of October she was leaning on my legs and purring, and on November 6, a big breakthrough: chin rubbing and loud purrs. She’s still a work in progress, and her new mama is going to continue to help her along. 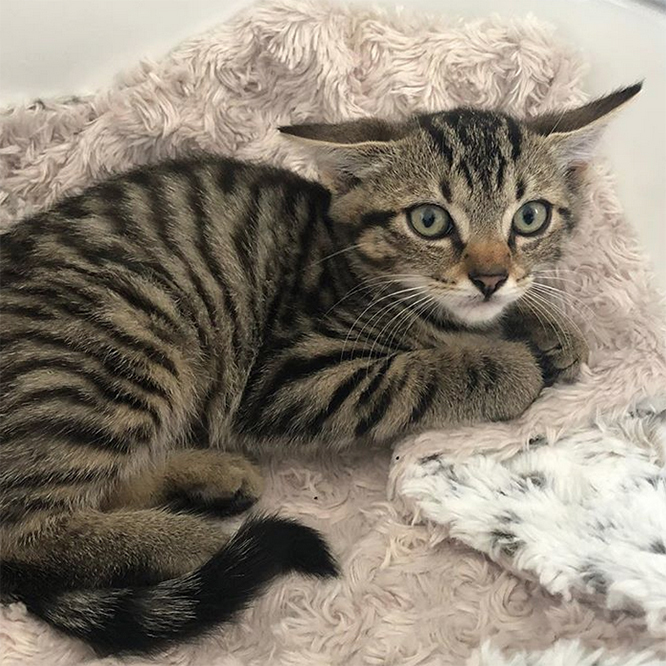 I can tell you this: There are few things more thrilling in life than helping a terrified kitten overcome fear and discover that life with humans can be bliss. I wasn’t born knowing how to do this. 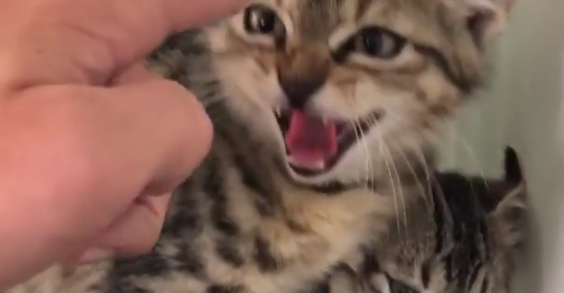 In fact, many people are capable of helping frightened kittens find the resilience to become trusting and happy. The internet is a wonderful resource for learning, and your vet or local shelter can provide advice, too. Adoption Day: Cider is hiding but Acorn is in my lap!! Acorn and Cider went home on November 15, only a little over a month after they arrived — and just as the temperatures were beginning to drop. I was so glad that they’d been trapped while the weather was still good. Winter is horrible for cats and dogs left to fend for themselves. 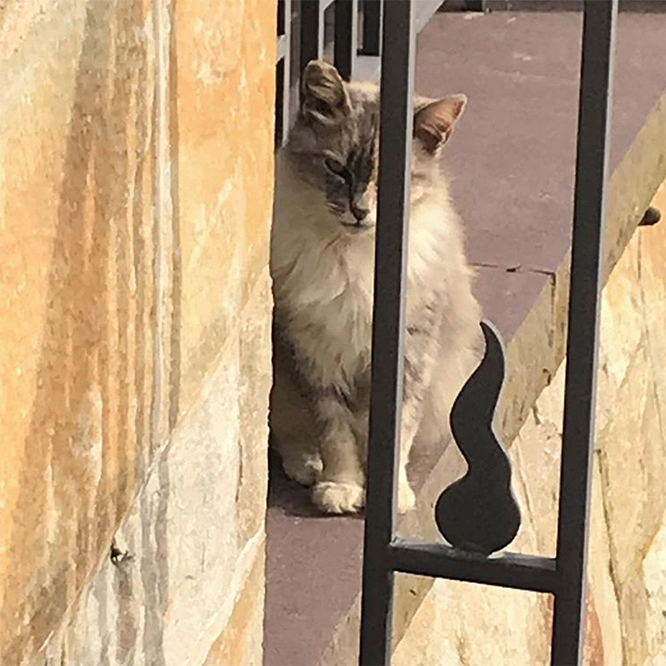 Last February I wrote a blog about Muffin (above), a feral cat Howard and I have cared for outdoors for more than 10 years. I also wrote about a Tuxedo cat named Magoo who was found nearly frozen to death in a snowbank in Upstate New York. 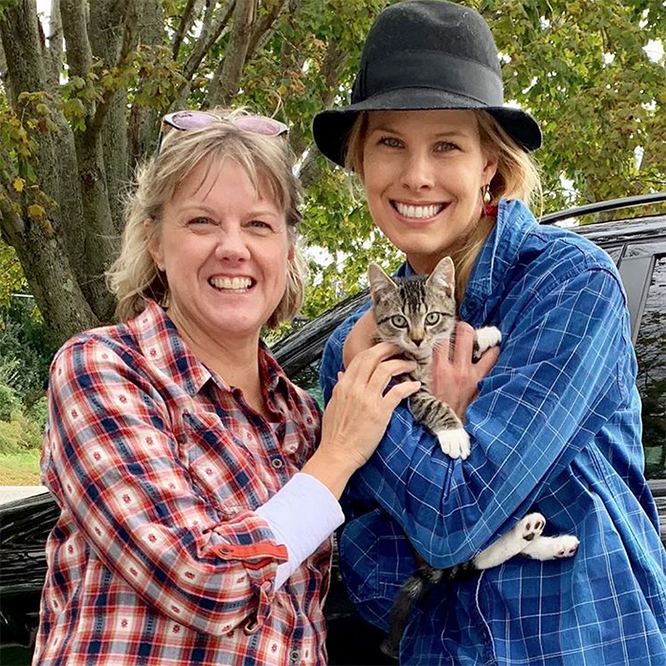 He eventually recovered beautifully and found a wonderful home, thanks to North Shore Animal League America’s kind donors and my great colleagues on Long Island. Animals left to make it on their own in harsh weather endure unbelievable suffering. And people who abandon them thinking, Oh, they can take care of themselves, are true animal abusers. This is a good time of year to write a letter to your local newspaper about all the reasons not to abandon pets. They can’t take care of themselves, especially those who have lived with families and been cared for. Abandonment is animal cruelty! I hope as you read my February blog you’ll consider how you can help strays and ferals in your neighborhood this winter. Almost all communities have trap/neuter/release programs, and there’s a ton of excellent information online about TNR, too. We can help these animals. They are our responsibility. They need us. P.S. 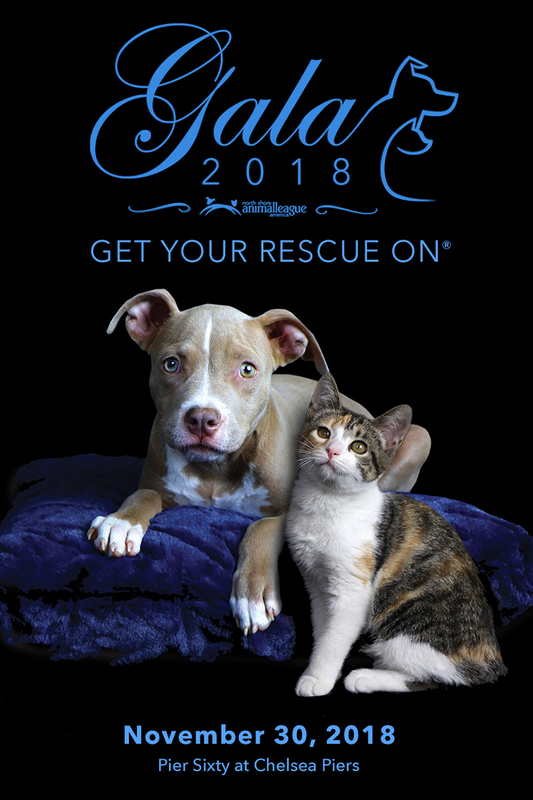 A reminder about our Get Your Rescue On® Gala, Friday, November 30, at Pier Sixty at Chelsea Pears in Manhattan. The event is organized by my colleagues at North Shore Animal League America to benefit Bianca’s Furry Friends Feline Adoption Center (BFF), a state-of-the-art facility now under construction on Animal League’s Long Island campus. 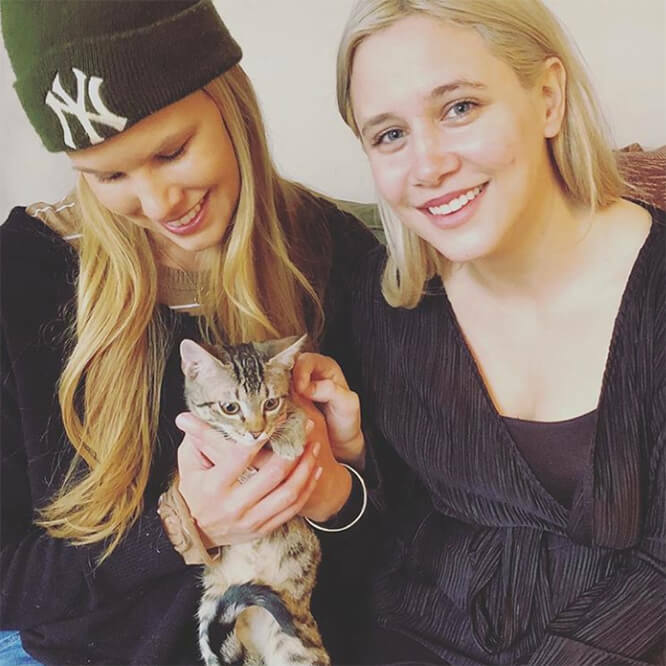 Named in memory of Howard and my beautiful dog Bianca, who died in 2012, BFF is dedicated to the rescue, care, and adoption of cats and kittens. I always love the Gala, but I’m especially excited this year. Howard and I are honored to be the co-chairs of this event for the sixth year in a row. Joe Gatto of “Impractical Jokers” is hosting the Gala, and we’ll present awards to Tito’s Handmade Vodka and Elvis Duran! And there will be a live performance by the legendary Joan Jett and The Blackhearts. To learn more about the Gala, visit animalleague.org/2018gala. P.P.S. Even if you can’t attend the Gala, consider stopping by for The After Paw-ty, also at Pier Sixty at Chelsea Piers. It starts right after the Gala and runs until the next morning at 1:00. Dance to the sounds of DJ Phresh. Enjoy a nightcap at the open bar. Grab some delicious late-night munchies. And there will be PUPPIES! Tickets benefit Bianca’s Furry Friends.